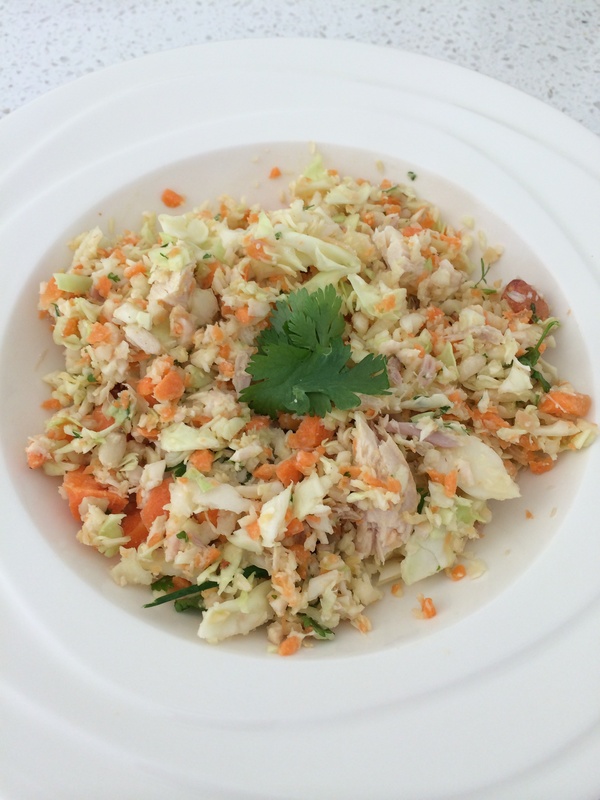 1/4 cabbage, 1 carrot diced, some leftover cooked chicken, a few peanuts and a handful of pinenuts, squeeze of lemon, white wine vinegar, little bit of sugar, sesame oil, and a few sprigs of coriander. Two one second pulses on turbo and it’s done. You could add any herbs or vegetables to change the flavour but for a quick meal it’s awesome. Delicious, now I’ll be making it for dinner too! Ps easy on ginger, I’ve tried a couple of recipes from the community where they ask for cm cube of ginger and it turns out overpowering the whole salad. Second time around for dinner I turboed one too many times and turned another salad into dip. Was still lovely smeared on pizza bread though but will have to really watch speed on these salads. Have turned quite a few salads into purée a second or two too long or pulsing on too high a speed.